Too much to to do, too little time. So to recap, entire family was here for daughter's communion. It was nice, but a little bit hectic getting everything together. Party was nice afterward. We all sang karaoke. 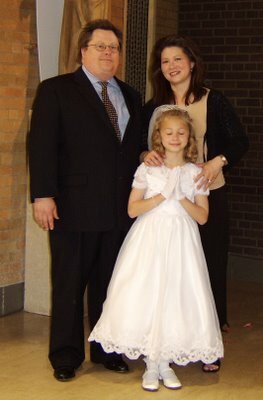 Here's a picture of me, my husband and daugther after her first communion. Nice, huh?